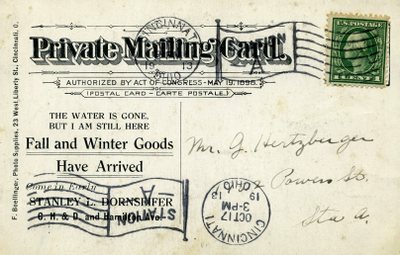 This postcard not only commemorates the Cincinnati flood of 1913, it lets a valued customer know that Stanley L. Dornseifer (shown partially submerged in the photo) is still in business and has new goods to sell. 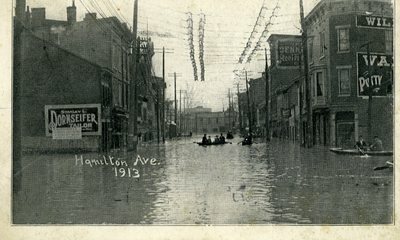 Dornseifer's shop was located at the corner of Hamilton and C.H.&D, which refers to the Cincinnati, Hamilton, and Dayton Railroad, so he was right by the tracks. 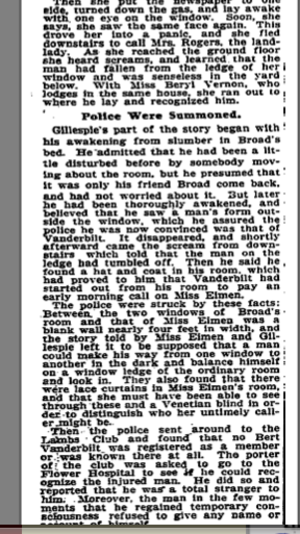 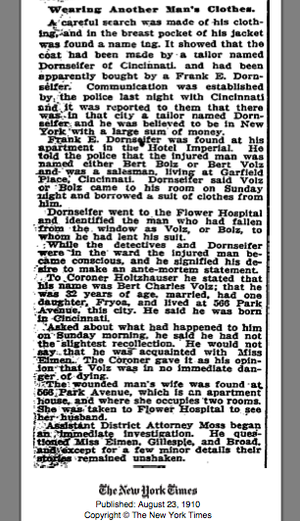 Dornseifer appears in an article in the New York Times in 1910 involving police investigation of a fall from a window. 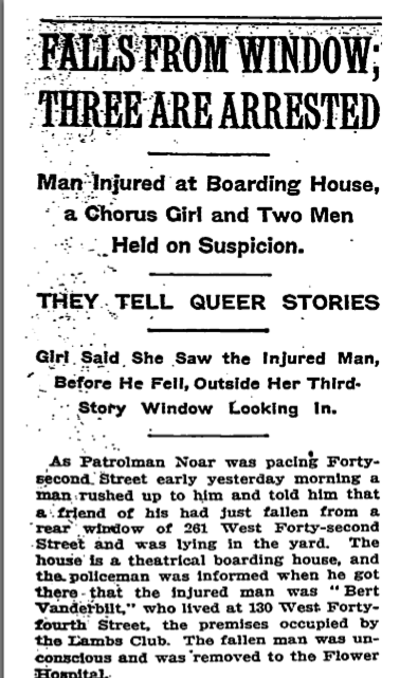 tell the intruder to go away.